MOSCOW—The Kremlin said on Aug. 9 it had received a letter from the mother of jailed Ukrainian film-maker Oleg Sentsov asking Russian President Vladimir Putin to pardon her son. The Crimea-born Sentsov, sentenced by a Russian court to 20 years in a high-security penal colony in 2015 for “terrorist attacks” on the peninsula, is on the 88th day of a hunger strike. Sentsov was accused of setting fire to two office buildings in Crimea, including one of Russia’s ruling party, and of plotting to blow up a monument to Soviet state founder Vladimir Lenin. He was charged with organizing a “terrorist group” in Crimea aiming to wrest the peninsula back from Moscow’s control. Russia annexed Crimea in 2014. The film director has denounced the trial as politically motivated, amid high tension between Russia and the West over the annexation. Sentsov’s mother Ludmila wrote to Putin on June 22. “I ask you … not to ruin his life,” the letter, published by the Echo of Moscow radio station, said. On Aug. 9, Kremlin spokesman Dmitry Peskov confirmed the letter was received. A commission must now be set up to gather reports on Sentsov’s health, behavior, and mental state, a journalist from the Novaya Gazeta newspaper cited Sentsov’s lawyer as saying. 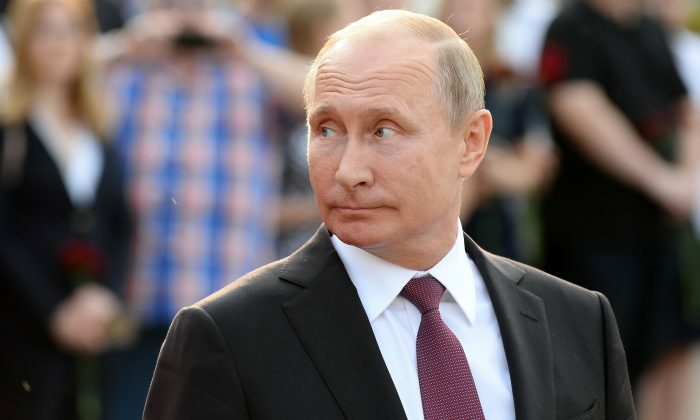 The commission will then assess whether he presents a danger to society and will make a recommendation for Putin to review, the lawyer, Dmitry Dinze, was cited as saying. Sentsov’s health is rapidly declining, his lawyer and a relative said. “Things are not just bad, they’re catastrophically bad,” Sentsov’s cousin, Natalya Kaplan, wrote on social media on Aug. 8. “He can barely get up. He writes that the end is near, and he’s not referring to when he will be freed,” Kaplan said.